He drives down to Bentong every morning and sets up shop around 2 pm at Dataran Sunway. 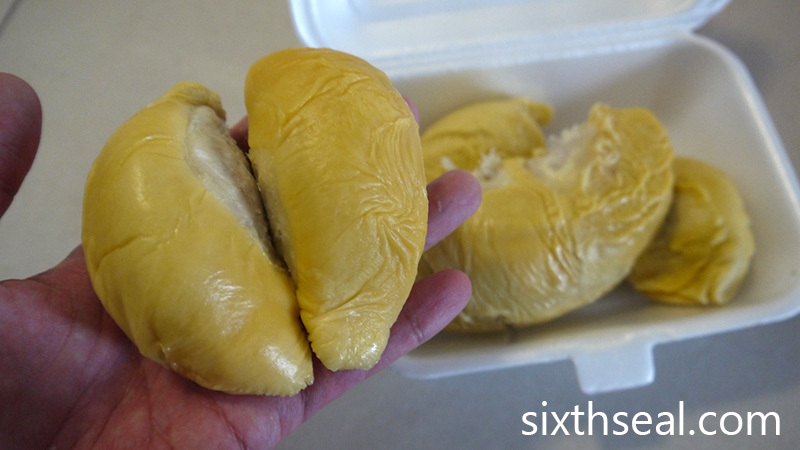 Honest too, never had problems with him or his durians, the quality is better than a lot of stalls. Downside is it’s more like a cart so there’s no seating arrangements e.g. you can’t eat there. Have you written about the exact location of Ah Seng? Or is it a secret? 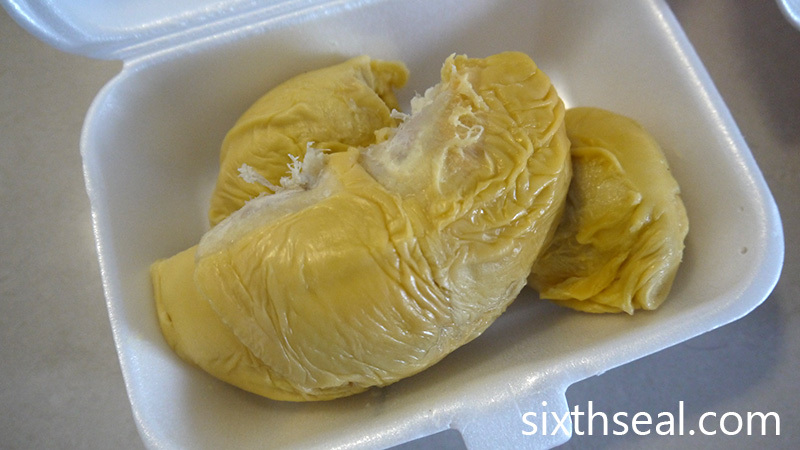 I love eating durians! Nothing is a secret here, I don’t believe in doing things like that. That said, I know I’m also not very good with documenting places too. Haha. This Ah Seng is located in Dataran Sunway, exactly outside the 24 hour Chinese food court called Neighbourhood Food Court. He starts operating at 2 pm and ends when his supply is gone. 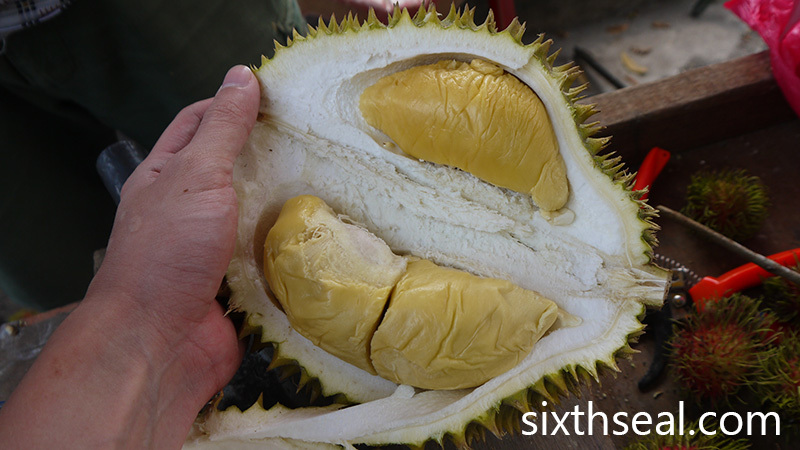 His prices are very reasonable and his durians are good, he only focuses on 4-5 types. The downside is you can’t actually eat here – there are no chairs and tables, it’s more like a cart, so you need to tapao, unless you don’t mind eating straight from the durian with no water or tissues. I’m fine with that coz I love durian too. It’s just opposite my place, this guy gets his stuff from Bentong in the early morning and drives down to set up shop around 2 pm (sometimes he’s around at 1 pm too but usually after the lunch crowd is gone). 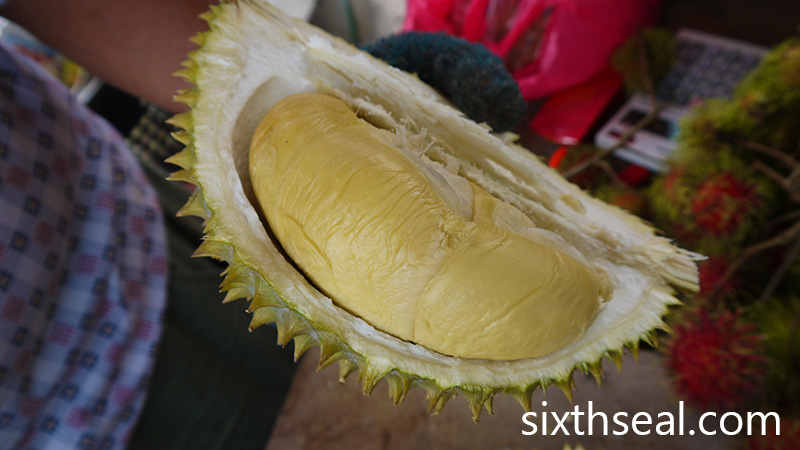 I have had quite a few D88 durians this season too, but none as noteworthy until this one. 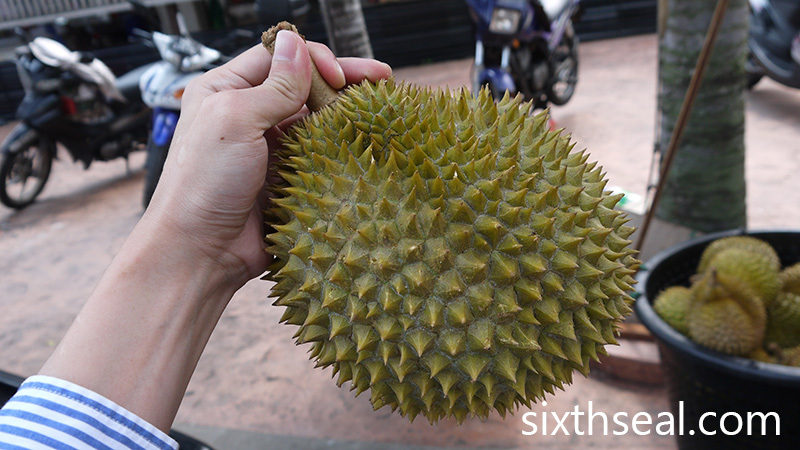 I read in the group that D88 durians tend to start out sweet to bittersweet early in the season and end up being bitter towards the end of the season. This was one of the very bitter specimens, totally down my alley and I think you’ll love it too! Why D88 so cheap compare to other variety? My father had planted 2 D88 in front of our home in 96/97. 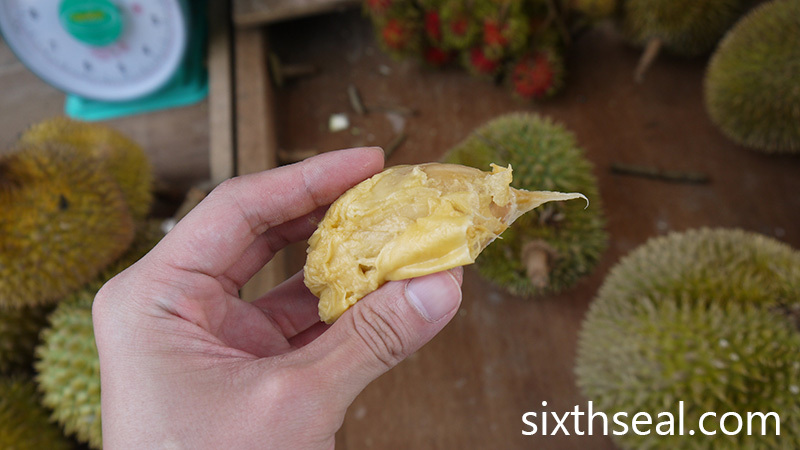 Yes, the D88 durians are bitter, the flesh colour usually yellow, sometime can see some orange colour. I give 7/10 for my D88.